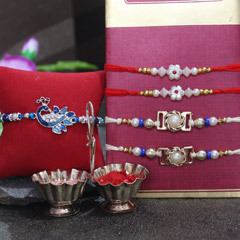 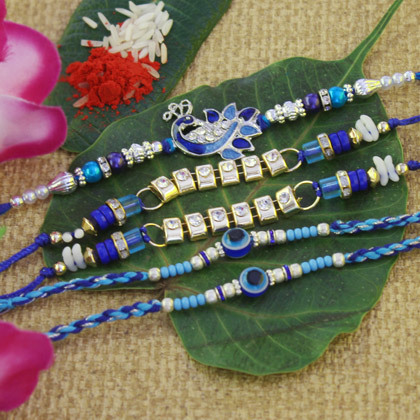 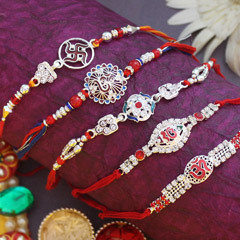 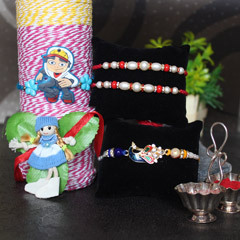 Beautifully designed blue and silver Rakhis of this set are sure to help you impress both your loving brothers on the day of Raksha Bandhan celebration. 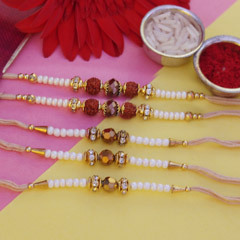 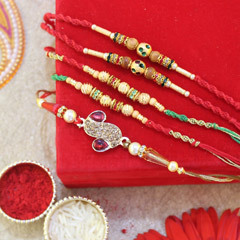 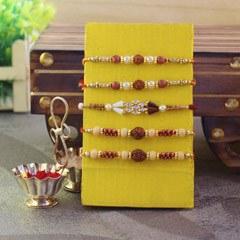 Intricately designed and crafted, each Rakhi of this set will outshine wrist of every brother of yours with appeal. 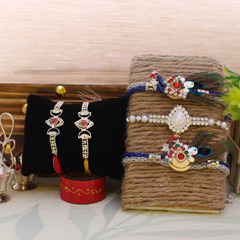 Moreover, you will be able to rejuvenate the bond of love all again with them.